The Branford Land Trust was saddened to hear that Peter Borgemeister, a pillar of the organization for much of its existence, passed away on Monday, March 17, 2014. A celebration of Peter’s life will be held sometime in June. Please watch here for details. 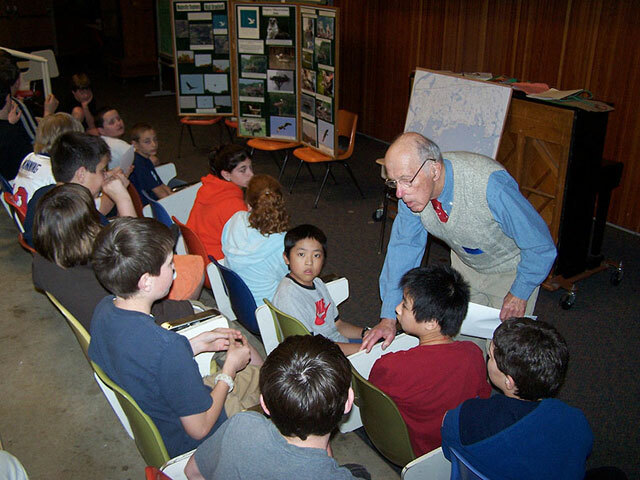 Peter, an enthusiastic teacher about the environment, is pictured here giving a lecture on the “Return of the Osprey” to Branford school children.